This is my art for this fortnight's Scripture Challenge with Patter Cross - Triple the Scraps. Once I read the word for our challenge I thought of the scripture to use. I do love to sing even though I am not a good singer. Often when I come home from Church a Hymn or Scriptural song we have song will be on my mind. 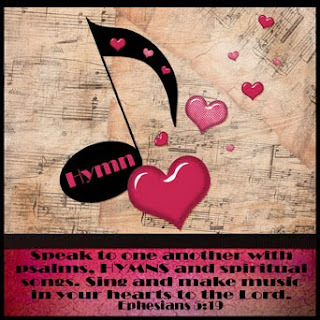 I enjoy playing scriptural songs in my home when I do the housework or do some scrapbooking or cardmaking or on the computer with my digital scrapbooking. I like this. Love that you included journaling too. 'Make a joyful noise!"